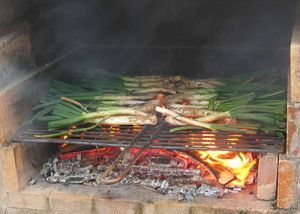 This Catalan tradition can leave you in a fine old mess, but onion lovers will sigh with pleasure at these ‘calçots’ (pronounced cal-show) served up with a ’sauce romesco’ at a convivial ‘calçotada,’ (communal calçot get-together) and accompanied by entertainment, live music and dancing. 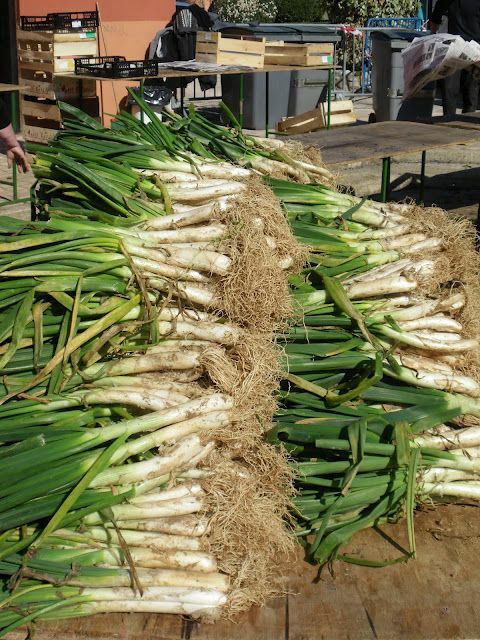 Calçots are a variety of long, thick green onion (rather like skinny leeks) that have their peak season in January, February, and March. They are normally cooked on a barbecue and turned and turned until entirely blackened outside and soft and sweet inside. They are traditionally served on an upturned terracotta roof tile, dipped in salvitxada or romesco sauce, and accompanied by red wine or cava. 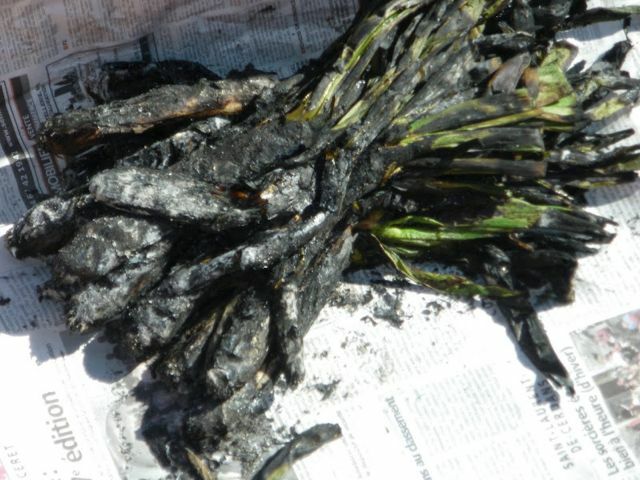 If you don’t know of a ‘calçotada’ in a village near you, they can be ordered at many typical Catalan restaurants, particularly in south Catalonia. They will probably supply you with a bib, and some may even offer gloves! Traditionally, sausages or lamb are served up after the calçots, followed by crema Catalana. To eat, peel off the blackened outer layer, dip liberally into the sauce, hold above the head and start from the bottom that is dripping in sauce. The Catalan tradition for an “-ada” (a meal, usually for many mouths, based around a single ingredient which could be anything from snails to chocolate – bullinada, cargolada etc), often creates some highly unusual, charming and community spirited festivals. Usually grilled or barbequed.